The easiest thing to do is wait. When a new technology seems to be bubbling up at the edges of conversation, most people just wait. Wait to see how it turns out. See if it takes off. When it comes to ebooks, the wait is over. Done. The handwriting is no longer on the wall; it’s being downloaded to your iPad. The book business is faring much better than the music industry did when digital changed their business model. As millions of songs were being downloaded in the 90s, music companies were busy protecting their old-media distribution channels. At one time, music stores dotted strip malls and city street. Now, most are gone. Apple redefined their distribution model. 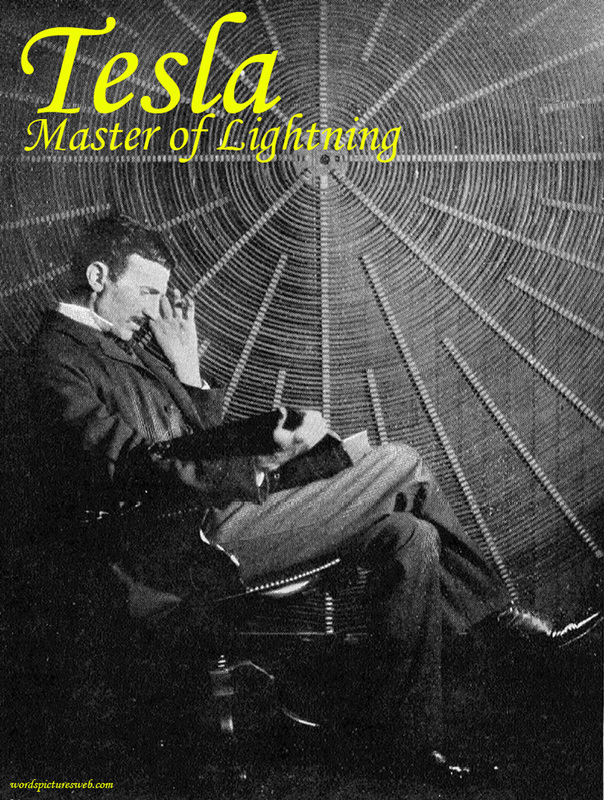 Tesla: Master of Lightning. That would look cool on a business card. Between our iPad, iPhone, and three iPod Touches, my family has over 100 installed apps. Amazing utilities, clever social apps, and plain old silly stuff. I love my apps, but they are ruining the world. Sad, really. Here’s the thing. Programming something for iOS isn’t exactly easy. There are some tools that cut your time, but if you want to maximize your app, you’ll have to put in the time or pay someone to do it. Someone smart and patient. I’m all for creative entrepreneurs generating a profit from their hard work. I’ve certainly done it myself, so I wouldn’t begrudge someone else the opportunity to earn money. Unfortunately…. Unfortunately, some of the smartest people in the room aren’t solving problems anymore. They’re not figuring out the kinds of things that need figuring. They’re not inventing or improving inventions. They’re not even experimenting. As I was riding the bus to work this week, I observed at least two people streaming Netflix to iPads. 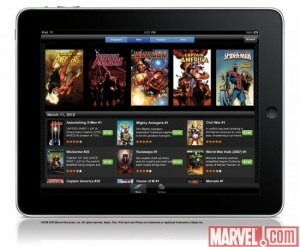 The lower-end iPads include WiFi, but the upgraded models offer 3G wireless service. That makes it easy to stream Netflix wherever you are. Like, for instance, the bus. This may seem like a minor point, but for content creators and content strategists, it is a significant development worth considering. For example, as you develop your content strategy, you’re probably thinking primarily about the website and mobile experience. This means a robust website that scales appropriately for mobile users. If you create transmedia assets, you may also be thinking about familiar channels like YouTube and Vimeo for video. Maybe Slideshare for presentations. Perhaps an eBook on Amazon or at BarnesandNoble.com. Again, this all makes sense. By this point, I would have expected that the pay model for content would have changed, but for the most part, it has not. The web remains mostly free and will probably remain that way for quite some time. There has been, however, an interesting shift in the tablet world. First the Kindle and then the iPad have nudged people along to pay for content. It’s not a mass movement, but it is a step in the direction where content creators can eventually charge something for their content. As such, content strategy will need to evolve to reflect this slow evolution back toward paid content. As the print industry continues on an inexorable path to extinction, an analysis by the Wall Street Journal reinforces what many of us already knew. Specifically, ebooks are just less expensive to publish. First off, I’m not a book hater. Actually, quite the opposite. I’ve had a lifelong love affair with print. I spent many years in print publishing. Now that I’ve started writing books, I’m hoping that print sticks around just a bit longer. Unfortunately, that’s just not going to happen. The Internet has has led to fewer people buying and reading books. That much we know. As Borders closes, their discounts on books increase. Books are dying. Actually, if you believe the pundits, almost all of print is dying. As someone who used to work in print publishing, I see many friends looking for new jobs. So, yeah, I tend to agree with the pundits on this one. Books are dying, and I am not happy about it. Precondition your audience at the start of your presentation. If you’re delivering a business pitch, you are trying to share an idea that the client will want to buy. That means it needs to be memorable. As a presenter, you need to make sure that your future client knows what the heck you are trying to say. Don’t just tell them that you’re good at delivering a powerful message. Prove it in your presentation. Here’s a good piece of advice for making presentations memorable, which I learned from my friend and co-worker, John Spingler (aka Sping). Tell them what you are going to tell them. Tell them what you just told them. And just like that, the Nook matters again. Yes, in the war to win the hearts and eyeballs of readers continues to rage on, and Barnes & Nobles has just proved that it’s not out of the fight. In 30 seconds or less, the Nook was upgraded from being a humble ebook reader with an attractive color screen, a market where Amazon dominates. A software patch pushed the Nook into the crowded space of tablets, where Apple dominates. Soon the Nook will have full access to the Android Marketplace, which includes the kinds of games and apps that makes the iPad so popular. One of the best features has to be the Video Mirroring capability. In my line of work, we use iPads for demonstration purposes. That’s all well and good for intimate conversations, but only so many people can huddle around an iPad. Not anymore. 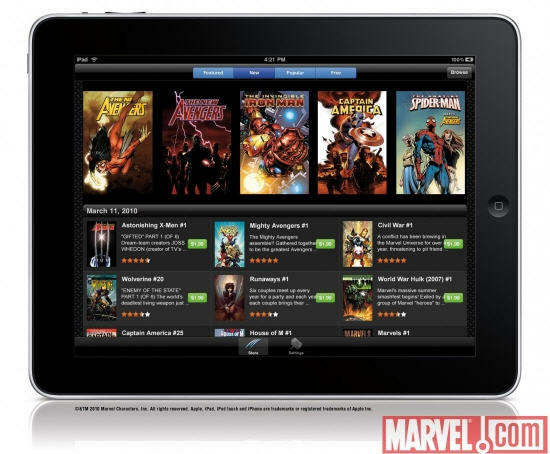 This Video Mirroring allows you to plug your iPad directly into the television and display the entire iPad on screen. And some initial reports suggest that this will be backwards compatible to original iPads and then others contradict that. We’ll know in the next few days. I’m sure. Imagine how powerful Video Mirroring on iPads will be in the hands of a trained speaker in a business presentation. This is the kind of flexibility we dream about in client pitches and presentations. You want hardware that has a wow factor. I want to present from an iPad running Keynote, rather than a Windows PC running PowerPoint. It has nothing to do with quality of presentation and everything to do with the coolness factor. iPads are cool. Soon after, the Kindle 2 released. Somehow, through the magic of Moore’s Law, the price dropped to $299. Still not cheap, but dramatically less expensive than the original. As of this writing, you can get a brand new Kindle for just $139. But wait, there’s more. I’ll be a panelist at the upcoming DTC National Conference in Boston. And I noticed that there’s a crazy promo. Register for the DTC event, and they give you the conference materials on a Kindle. And you get to keep the Kindle. Amazon’s sales of ebooks are skyrocketing. According to Amazon, ebooks already outsell paperback books. No surprise there. So it makes sense to keep dropping the price on the Kindle. Heck, Amazon can give the ereader away for free and (probably) still profit on the ebook sales. How long before this pushes down the prices of competing ereaders? 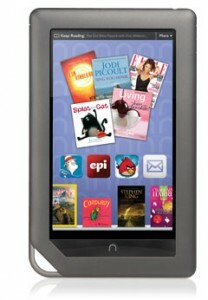 Something tells me that the Barnes & Noble Nook will probably be considering a price cut. The Apple iPad? Probably not just yet.